Growing up, Paul experienced the power of Chiropractic care from a young age, as his father was a Chiropractor. This allowed him to appreciate and grasp all that Chiropractic care was capable of early on—especially when it came to care for athletes. Paul knew it was the field for him and set off to achieve his Master’s of Chiropractic, which he obtained in 2000. Paul spent several years working at his family’s practice before making the jump and opening Capacity Health. 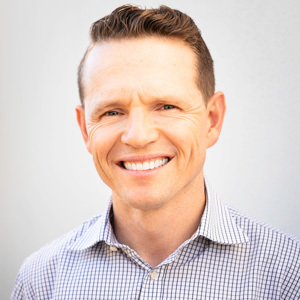 Ever since, he has strived to bring holistic, effective and quality Chiropractic care to the Subiaco community. Paul also holds a diploma in Sports Chiropractic. Simply put, he strives to bring only the best care possible to you. Outside of the practice, Paul loves spending time with his beautiful wife and five children and working hard to maintain his own healthy lifestyle. He and his family love triathlons, hockey, cooking and travel. He is a Member of the Cottesloe Surf Club. Paul would love the chance to meet you and learn more about your health goals. To get started today, contact us to book an appointment. We look forward to welcoming you and your family into our modern, friendly practice!